This year, through the first quarter, for example, the Russell 1000 Growth Index returned over 15 percent, again better than the also excellent return of just over 11 percent for the Russell 1000 Value Index. And growth outperformed value for seven of the 10 years from 2009 through 2018. Until the last decade, however, value stocks often outperformed growth, leading some proponents of the value style of investing to hope for a return to dominance. But there is no assurance that such a shift will happen soon. Growth and value have specific meanings in the stock market: Value investing favors stocks that look cheap using metrics like the price-to-earnings and price-to-book ratios. Growth investing, on the other hand, favors stocks with higher than average annual increases in revenue and earnings. After months of rising stock prices, growth shares have become relatively expensive but not outrageously so, Jeremy Zirin, head of Equities Americas at UBS Global Wealth Management, said. They carried a price-to-earnings premium of 47 percent over value stocks at the end of March. That’s high, he said, but nowhere near the 100 percent premium that prevailed just before the stock market declines of 2000 and 2001. “We’re not at the stage where growth is grossly overvalued, “ he said. Tech stocks like Facebook, Amazon, Apple, Netflix and Google, the so-called Faang stocks, are in the growth category. Despite a brutal stretch in late 2018, these stocks have been big stock market winners in the last several years. One reason is concern about the strength of the global economy. “Generally, value has outperformed whenever there is anxiety about whether the economy can continue to grow,” he said. Value stocks typically come from industries where investors and analysts see problems; that’s why the stocks are relatively cheap. The question is whether the problems are real or overblown, and whether future price gains are likely. Currently, banks and other financial institutions, and oil and gas companies, make up a large part of the value stock universe. Judd Peters, one of the managers of the Hotchkis and Wiley Small Cap Diversified Value fund, sees promise in both sectors. Banks will become more profitable when longer-term interest rates rise, increasing revenue when banks lend money, he said. “We’re at an historically low moment in terms of long-term interest rates,” he said. 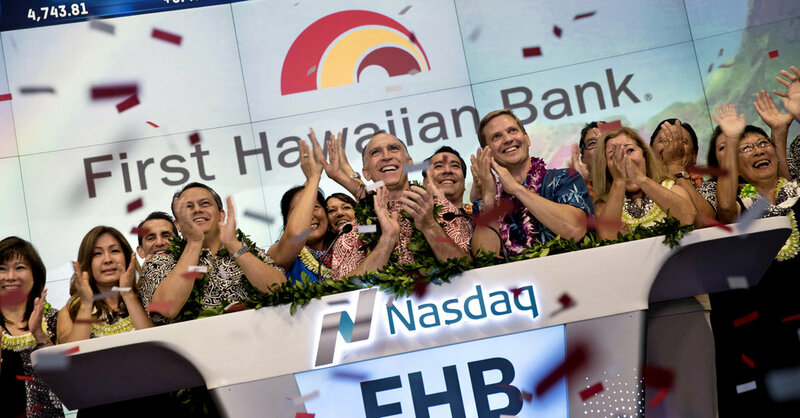 One of the fund’s holdings is First Hawaiian Bank, the largest Hawaiian bank, which closed the first quarter at what Mr. Peters called a “very attractive” valuation of roughly 12 times current earnings. On the other hand, fund managers who favor growth investing can point to their recent performance records. Dan Davidowitz, for example, is manager of the Polen Growth fund, which returned an annualized 16.22 percent in the five years through March 29, according to Morningstar. Still, the high prices of growth stocks shouldn’t be disregarded, some analysts say. “The gap between high-priced and low-priced stocks has been rising for many years,” said Paul Quinsee, the global head of equities at JP Morgan Asset Management. At this point, he said, the price-to-earnings premium for growth stocks is greater than it has been 94 percent of the time over the last 25 years. “This should give investors pause,” he said, though it’s possible that this extreme level of pricing will persist. Mr. Rekenthaler expects that value stocks will again outperform growth stocks eventually. “If I had to bet, I’d bet on value stocks for the next 10 years,” he said. But, he said, because there’s no guarantee that he is right, investing in value stocks requires considerable patience. Previous PostPrevious Falling Fees Give Investors More Choices. Just Be Careful Using Them. Next PostNext Off the Shelf: Which Is Riskier, Prostitution or Investing?